Lucy Bronze has cut short her American adventure and goes straight back into Sunderland Women's squad for their final game of 2009. The Premier League leaders are away to Birmingham tomorrow, looking to end an incredible year on another high. Bronze was part of the Sunderland team that won promotion to the top flight last season, as well reaching the showpiece FA Cup final at Pride Park, where the Lady Black Cats lost 2-1 to Arsenal. The right-back won the Player of the Match award in the game for an outstanding display, but left the club in the summer to take up a scholarship at the University of North Carolina. 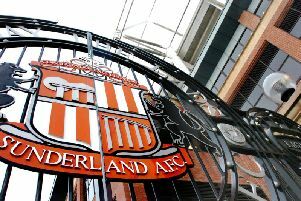 But after being unhappy with her course of studies in the USA, the 18-year-old has decided to return home, and has registered again with Sunderland. Being in England will also help with her international ambitions. Bronze was part of the England U19 team that won the European championships in Belarus in July. And she has just been chosen for the England Women's U20 training camp, alongside Sunderland team-mates Jordan Nobbs, Demi Stokes and Rachael Laws, in Manchester next month. "The game over there is much more based around fitness and chasing people down, so I have no doubt about her fitness. "She only arrived back in England this week, but she goes straight into the squad."